Commander Jonathan Radec has finally obtained everything he ever wanted in life. However, in a cruel twist of fate, just as he reaches out for his most heartfelt desire, it is torn from his grasp forever. Jon has always trusted those closest to him implicitly. It has long been his greatest strength, but one that his enemies have come to realise is also his ultimate weakness. For it is always those closest to you whose betrayal cuts the deepest. In a horrific, pre-emptive strike at the very heart of the Imperium, the Senate is completely wiped out. In the aftermath of the attack, surrounded by the cries of the dead and dying, destiny once again reaches out its long arm, forcing Jon down a path he has long resisted. For, ever since the day he first set eyes upon Sofia, Jon has been destined to stand above all others. As the last Emperor of the Imperium. Jon has already fought through the very depths of hell itself and out the other side to save the ones he loves. Now, to save his family, he will gladly lay siege to the heavens themselves, for they tremble at his approach. As Jon not only commands the living, but also the dead, and they all want revenge against those who have taken everything from them. Even if the rest of the Imperium must burn first. This was the most difficult book in the trilogy for me to read. I started to read it, and then I spent the next month or so reading a bit more and then putting off reading any farther for days at a time because I couldn’t bear to find out “what happens next”; and yet at the same time, I was compelled to read further in order to find out “what happens next”. In summation, I had a very definite love-hate relationship with this book. What an awful dilemma! I really commend Smith for the way he created characters one really invests in, as it was for only that reason that my heart was shattered at the beginning of the story, and purely for that reason that I kept on reading to find out how the story resolved. And the climax of this story was worth every moment of heartache that had come before. 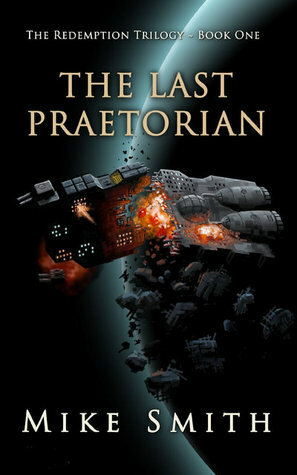 Fantastic stuff, and totally worthy of The Last Praetorian. I won’t say any more, because to do so would be to reveal plot points that are best kept under wraps. I will say this, though: the epilogue made me cry, dammit. The first book I’ve had tears in my eyes over since as long as I can remember. After making a shocking discovery that reveals the truth about a long-held misconception, the crew launch a desperate rescue mission to Tartarus. 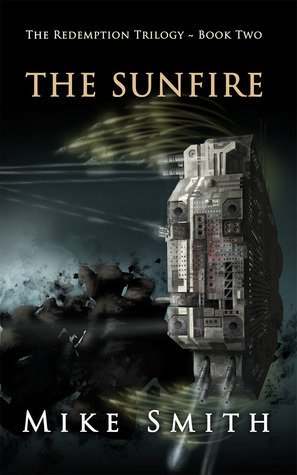 The only way to reach there, aboard The Sunfire, which was once the Confederation Navy’s newest, most powerful heavy cruiser, but is now nothing more than a ghost ship, adrift amongst the stars. Meanwhile the last Imperial Princess, Sofia Aurelius, is questioning her own decision to focus on the Senate and turn her back on her family–and Jon. Embarking on a quest to discover the truth about the present–she instead finds the past has finally caught up with her. Failure will mean certainly death for them both, but the price of success could be far worse, almost certainly plunging the galaxy into civil war, the last of which, five-hundred years ago, cost tens of millions of lives. Smith has an inventive imagination, and this story is no exception. One may think that because Jon Radec appears near-invincible, that one has to completely suspend belief in order to swallow this story. But the beauty of writing the story mostly from his POV shows just how and where he is vulnerable. This sets the reader up for tension as events head Radec’s way. But not only that. Smith is audacious, and comes up with plot lines and devices that stagger the readers’ imagination – and that totally suit the characters of Jon Radec and his contemporaries. What Smith does in The Sunfire is not far short of brilliant, and a joy (advisedly) to read. A page-turner that keeps one in the grip of events, hastening to discover the outcome. 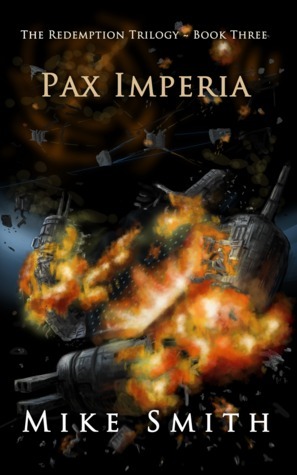 I thoroughly enjoyed this second instalment of the Redemption trilogy, and look forward to reading Pax Imperia.